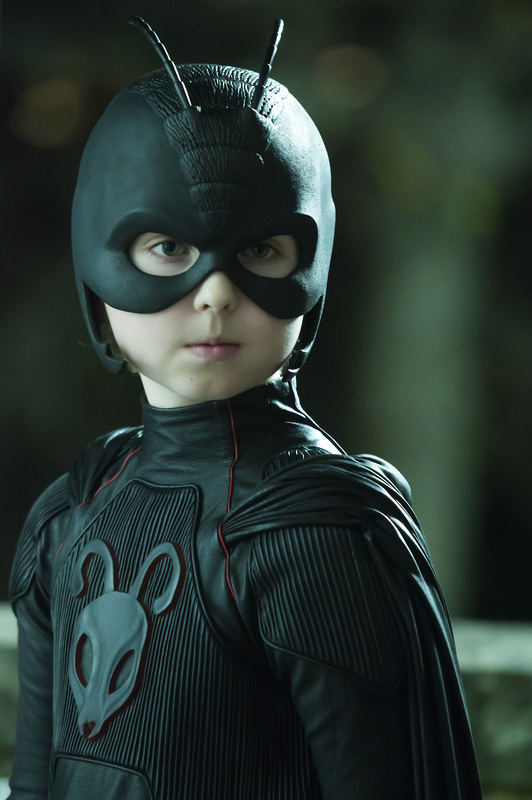 A young boy who yearns to be something “special” transforms into a mighty super hero in the quintessential family adventure, Antboy, exploding onto DVD July 22 from Cinedigm. The highly acclaimed film, based on the popular Danish comic series by Kenneth Bøgh Andersen, premiered at the 2013 Toronto International Film Festival. Ordinary, overlooked 12-year old Pelle (Oscar Dietz) is transformed into an extraordinary superhero after he is bitten by a super-ant and inherits its abilities. Overnight, the boy who nobody noticed becomes a local hero as he is dubbed “Antboy.” With the help of his new friend and sidekick, comic-loving Wilhelm, climbing walls, flipping cars, stopping robbers and saving babies all become part of his new dream life. But all this changes when super-villain “The Flea” kidnaps a young girl, the subject of Pelle’s affection and terrorizes the citizens of Middelund. Antboy, with his sidekick Wilhelm and their friend Ida who won’t take no for an answer, must fight this treacherous evil, rescue the damsel in distress, save the town from a super-villain and be home in time for dinner. Full of heart, humor and one special hero, Antboy is directed by Ask Hasselbalch, and produced by Birgitte Hald, Eva Jakobsen and Lea Lobger. A Dove Foundation approved film, it garnered “Best Children/Youth Film” and “Best Visual Effects” at Denmark’s 2014 Robert Festival, and also screened at the London Film Festival and the Portland Film Festival.